Several of our readers have found commenting on the blog posts to be a bit convoluted. Don't blame us, blame the blogger program! They don't make it obvious. But here is how to do it. (You can click on the images for a closer view). When you click on the link for "comments" at the bottom of a post that interests you, a pop-up window opens for you. 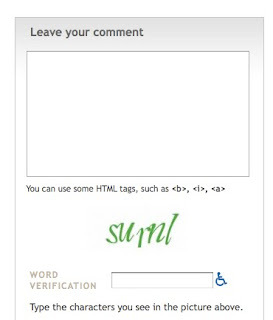 The window includes a text box, where you can enter your comment. It will size itself appropriately if your comment exceeds the size of the window, don't worry. 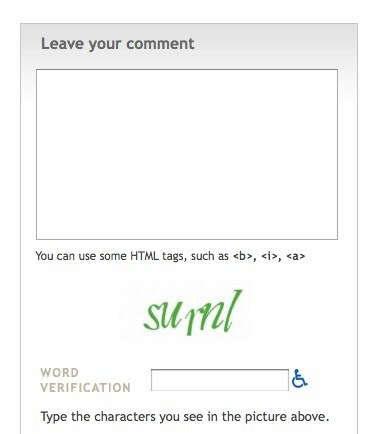 Below the text box is a "word verification" box. This asks you to type in the rather distorted letters you see. This is a way to keep outside computers from posting advertisements and spam in our blog comments. The place where people have been having problems is the "identity" section at the bottom of the window. It defaults to checking the box for "google Account", which may lead you to think you need to register for a Google email address or ID to comment. You don't! Click next to Name/URL (as in the image to the left), and enter your name (don't worry, no URL required). OR, you can click next to Anonymous. 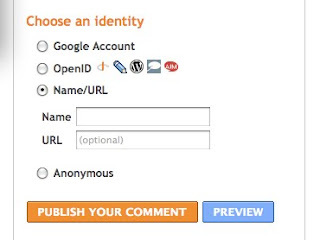 Then you can click the "publish your comment" box, without further ado and no further registration. 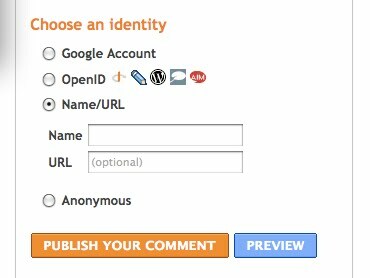 It's always best to sign your real name in the body of your comment, just in case (in fact if you use the "anonymous" option, please be sure you do so!). That's it! Please let us know if any questions remain!